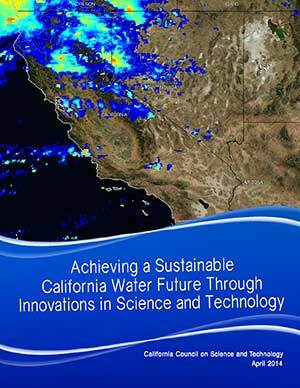 This report provides an overview of California’s water cycle, the needs and challenges it faces at each stage of the cycle, and identifies innovation opportunities that the state could potentially pursue in the near future. 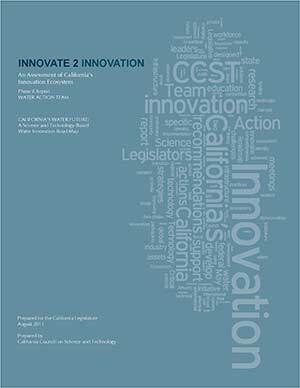 The study builds on two CCST projects completed in recent years: the Innovate 2 Innovation reports, which assessed California’s innovation ‘ecosystem’, and the California’s Energy Future reports, which offered a comprehensive look at what would be required to reach California’s goals of reduced greenhouse gas emissions by 2050. In the former project, water was identified as one of the state’s major challenges where innovation had the potential to make a significant difference; in the latter, the relationship between water and energy – the water-energy nexus – was touched upon in most of the publications in the series. 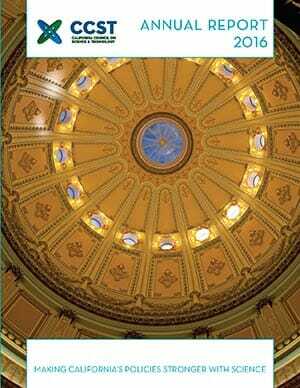 This report represents input from more than a hundred and fifty water experts, including representatives from state, federal, and local agencies, academia, federal research laboratories, and the private sector. It provides both near-term and long-term recommendations, to be pursued by a variety of agents. 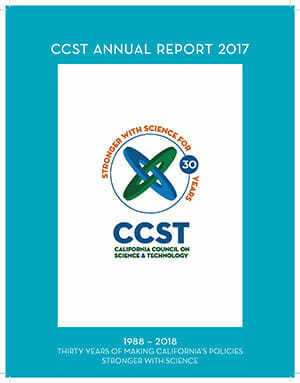 In this report, CCST has further identified where innovation can be used to address critical issues facing the state as it addresses the water needs of the future.